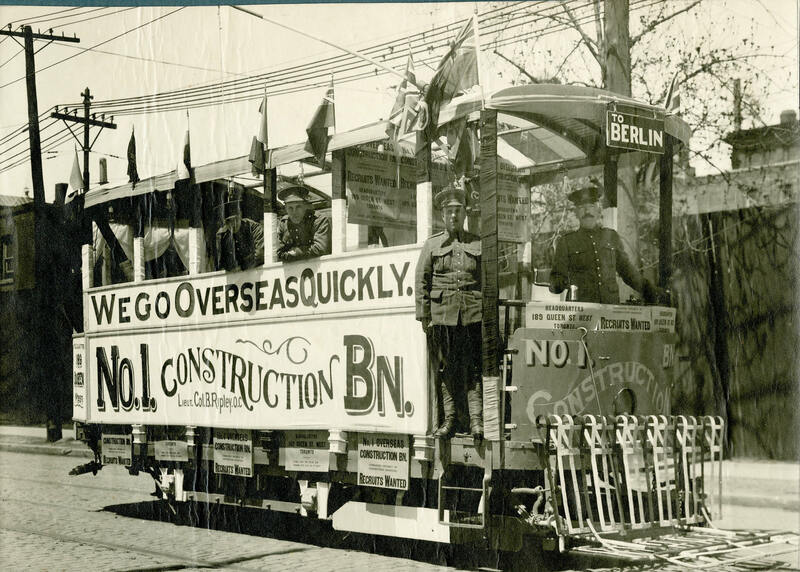 A Toronto street car, headed "to Berlin," is used to recruit for the No. 1 Construction Battalion. The message, "We go Overseas Quickly," was important as some of the battalions took several months to raise their necessary allotment. This left early recruits bored and increasingly frustrated at not being able to go overseas.